Nairobi — The Committee to Protect Journalists condemns the revival of criminal charges against Ethiopian journalist Temesghen Desalegn today in what appears to be a politicized court hearing designed to censor one of the few critical voices left in the country. A judge in the Federal High Court in the capital, Addis Ababa, revived three charges against Temesghen, former chief editor of the now-defunct Feteh, and one against the general manager of Mastewal Publishing, the publishing company that formerly printed Feteh, according to local journalists who attended the hearing. Temesghen faces charges of "outrages against the constitution," defaming the government, and false publication of articles, while the manager of Mastewal Publishing faces an unspecified charge for allowing the weekly to be published. Under Ethiopian law, a printing company is also held accountable for a press offense by a publication that it publishes. The charges were filed in connection with articles published in Feteh before the death of Prime Minister Meles Zenawi in August 2012, according to CPJ's review of the charge sheet. State prosecutors cited Feteh articles in court that they said falsely accused the government of interfering in religious affairs and discrimination against certain ethnic groups, as well as articles that allegedly incited violence. The next court date is scheduled for March 26, local journalists told CPJ. State prosecutors had suspended the charges against Temesghen in August without explanation, but announced on December 12 that they would re-file unspecified charges against him, Temesghen told CPJ. The court date was adjourned until today, when Temesghen learned he faced the same charges as last year. Shimeles Kemal, a government spokesman, told local journalists that the charges had been renewed based on further incriminating evidence. He did not offer details. "Authorities have not provided any new evidence to support the revival of these charges," said CPJ East Africa Consultant Tom Rhodes. "This court case appears to be a political effort to stifle one of the few independent voices left in the country and ensure he cannot continue in the profession. All charges placed against Temesghen and his publisher must be dropped immediately." Feteh has not published since July 2012, when the government ordered the printer not to publish it. The ministry had blocked the distribution of a Feteh edition that included a front-page story about the conflicting reports surrounding the illness of Meles, according to news reports. Temesghen has been harassed by authorities in the past. In August 2012, he launched a new independent bimonthly, Addis Times, but the state-run Ethiopian Broadcast Authority suspended the publication in January and rejected its application for the renewal of a certificate necessary to hold a printing license, local journalists told CPJ. Authorities cited the Addis Times' failure to carry out administrative procedures including delivering copies to the national archive and publishing names of their shareholders, according to CPJ's review of the official statement. Temesghen denied the allegations, and said they were designed to prevent the paper from further publication. 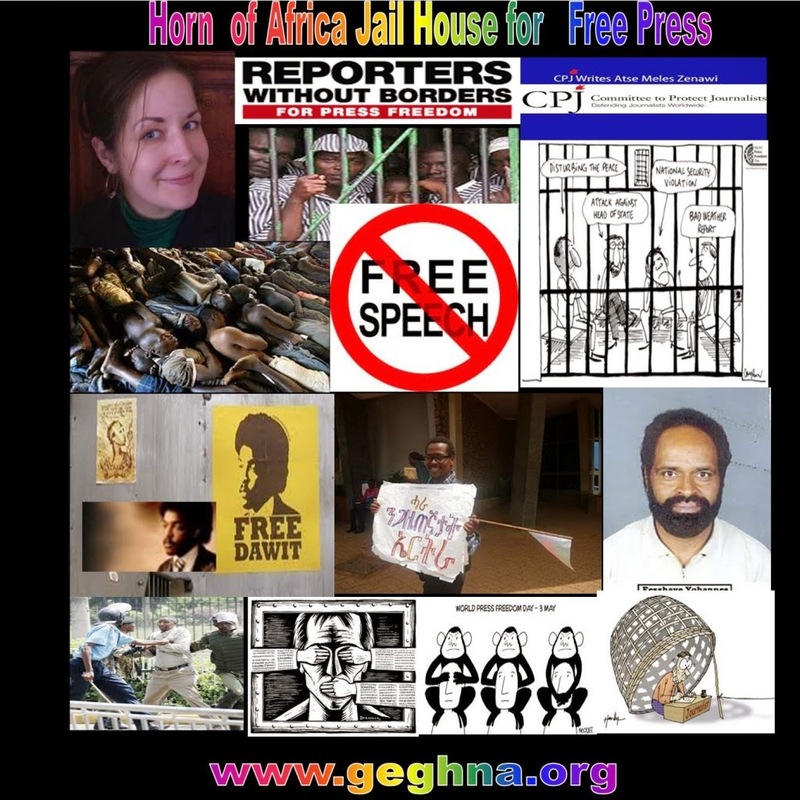 At least seven journalists are behind bars in Ethiopia, making the country the second leading jailer of journalists in Africa, according to CPJ research. Independent blogger Eskinder Nega was sentenced on July 2012 to 18 years in prison on charges of participating in a terrorist organization and inciting anti-government protests, according to CPJ research.